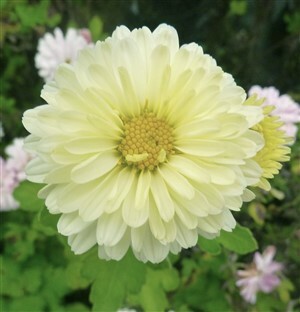 Chrysanthemum 'Poesie' Newly introduced from Hungary (should be hardy!) with low mounds of semi-double creamy white flowers of medium size. Long flowering from Sept-November. Easy on sun, reasonably well drained soil.